Living on the E&H campus is a unique experience and an integral part of the college experience. The historic campus maintains the scenic beauty of Central Appalachia but gives convenient access to the region’s activities and culture. On-campus residents find there are always friends and activities with which to engage. 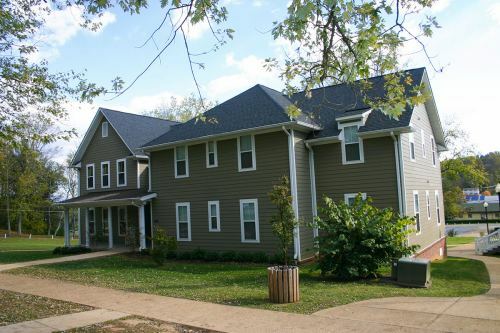 The E&H campus features 20 residence halls with co-ed and single-gender accommodations. Residence halls feature resident advisors to assist students as they acclimating to their new surroundings. Elm Hall provides modern, comfortable rooms in an attractive setting. You and a roommate will enjoy a spacious environment that is conducive to both studying and meeting friends. 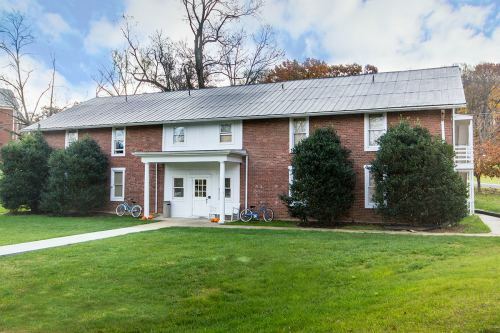 Elm Hall is located on a residential quad that gives students easy access to on-campus food establishments as well as recreational and athletic facilities. 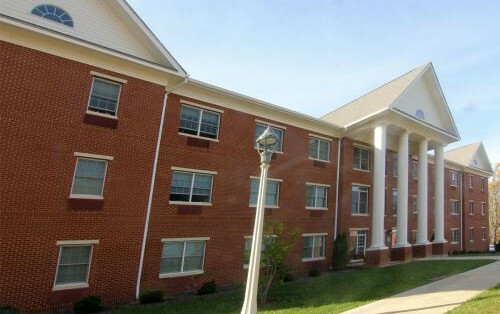 The largest Emory & Henry residence hall, Wiley Jackson Hall is popular for its access to parking and to the center of campus, placing it in easy walking distance to McGlothlin-Street Hall, a main academic building, as well as Kelly Library and Memorial Chapel. Wiley Jackson is known for its charming common area, which is located on the second floor and surrounded on three sides by rows of tall windows. 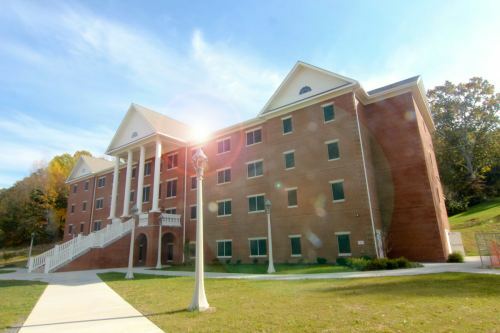 One of Emory & Henry’s newest residence halls, Hickory is popular among students because of both its modern amenities as well as its comfort. Located on one side of an attractive residential quad, Hickory Hall provides double occupancy rooms, private bathrooms and pleasant common areas, including a modern common kitchen. 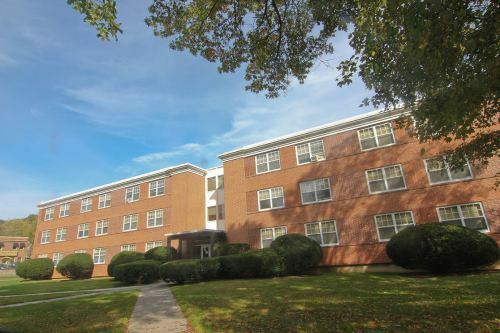 Hillman Hall is a traditional-style residence hall that is popular among students who desire easy access to the King Health and Physical Education Center and to the college cafeteria. 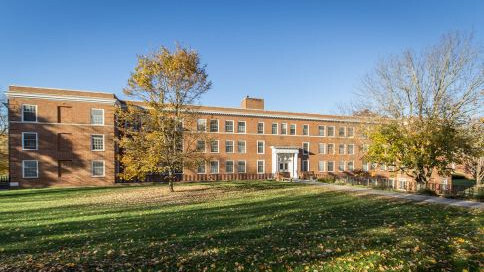 This residence hall boasts 80 single-occupancy rooms in a co-educational environment that is conducive to privacy and study as well as community activity. Hillman is located near the business center of the Emory village, which includes the campus book store and a popular restaurant, Macados. A women’s residence, Sullins Hall is a quiet place, yet located near “the action.” Just across the street stands two important buildings for the visual and performing arts: Byars Hall, the main academic building for the arts, and the McGlothlin Center for the Arts, a state-of-the-art facility for performance and art exhibition. Cambridge House is located in the village, where many professors, staff members and other students live, work and learn together. The hall provides 18 spacious double occupancy rooms and four single rooms. The rooms are set up in a suite configuration, allowing two rooms to share a . Common areas in the house include a kitchen, living room and study area. 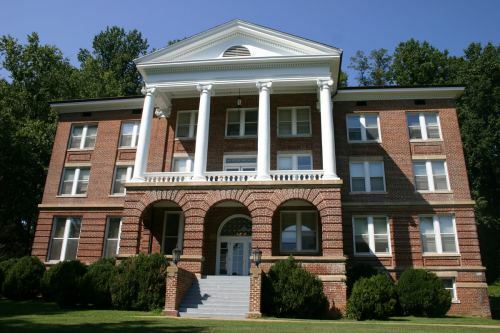 Tall trees, sweeping lawns and classic architecture define this historic, yet comfortable residence hall located next to the main campus in the Emory village. Residents enjoy spacious rooms, up-to-date bathroom facilities and plentiful adjacent parking.